There are those refusenik republicans who look on Christmas as an irritable hurdle to be endured and never enjoyed, all because they can't understand why such a frivolous undertaking should stop them from important, nay vital, work at the revolutionary coal face. These Christmas dissidents sit at home, sour humbug faces, while those around them drink, eat and generally have what we more normalised people call "a good time", politely ignoring the republican scrooges who are counting the hours until the next cumann meeting, leaflet drop or street protest. Indeed there are those who would have an alternative yuletide of seminars and workshops, and we're not talking Santa's elves here. You know who they are, the ones who play Pictionary only while sober, who will watch Michael Collins on Christmas day merely to point out the historical and other inaccuracies, and no doubt will also be seen over the festive season mumbling about typos and chronological inaccuracies while pouring over Robert Fisk's latest tome on the Middle East. They are the revolutionary scrooges and they need to beware because for Irish and international revolutionaries Christmas can be a time of mixed fortunes. For Red Hugh O'Donnell Christmas 1591 was a good time because on that 25 December he escaped from the prison tower in Dublin Castle with Art and Henry O'Neill. The three had been kidnapped six years earlier from Donegal and their six years in Dublin were not exactly cosy. They were to go to a safe house at Glenmalure in Wicklow, but Art died on the way and Hugh lost two toes to frostbite. Christmas ten years later in 1601 was not to prove as fortuitous for O'Donnell. In the intervening years he had been elected head of his clan and had with Hugh O'Neill waged war successfully against the British. However on 24 December 1601, against the advice of O'Neill, O'Donnell attacked in Kinsale what he believed to be a weakened Mountjoy. The Irish were routed by the 25 and O'Donnell died a year later in Spain, the victim of a suspected poisoning by an English agent. In December 1796 Wolfe Tone sailed from Brest in France on the Indomitable. The fleet of 43 ships and 15,000 troops was lead by General Lazare Hoche. Bad weather and other mishaps split the fleet. Tone arrived in Bantry Bay on 22 December, waiting for the rest of the fleet and weather suitable for landing. On 29 December the invasion was abandoned and Tone returned to France. On Christmas Day Tone writes in his diary that, "Sometimes I am in preposterously high spirits, and at other times I am as dejected." The changing wind threatened to bring the British upon them and Tone writes presciently that: "If we are taken my fate will not be a mild one. The best I can expect is to be shot as émigré rentré" and that if he was brought to trial, he would be "hanged as a traitor and embowelled". Tone shirks off these thoughts and also writes; "Nothing on earth could sustain me now but the consciousness that I am engaged in a just and righteous cause." Christmas Day 1881, finds Michael Davitt musing over his near nine years in prison. He was just 35, and was in solitary confinement in Portland Prison. Davitt writes that: "I would be much happier than I am were I convinced that there was nobody else in the world today any more miserable in heart and in mind than myself. But he reasons that despite the bleakness of his position there are many worse off than him in Ireland. Davitt writes: "So shake hands old Father Christmas. Long life to you old boy, and may every visit which you have yet to pay this silly world bring more happiness to the poor, the weary and the afflicted — not on any account forgetting dear old Ireland". Spanish Civil War survivor Michael O'Riordan describes in his book Connolly Column how the first Irish detachment to the International Brigade fighting Franco's fascism named itself the James Connolly unit and on Christmas Eve 1936 they went to the front fighting through the Olive groves around Cordova. Donal O'Reilly, who as a 13-year-old had followed his brothers and father to the GPO in 1916, and then fought in the Tan War and in the Four Courts, wrote about the day, months later in the Irish Democrat. O'Reilly said: "Christmas time refreshed memories. Childhood days of well kept promises that brought days of happiness. The memories of co-operative efforts that lightened the corridors of Mountjoy and other evil spots." Eight Volunteers died on the Cordova front. From 1956 to 1959 Che Guevara and the other Cuban revolutionaries spent their Christmases at war. In the days after Christmas 1958 the Cuban rebels were besieging Santa Clara. By 1 January 1 Cuba was liberated and Fidel Castro was installed as the Prime Minister of the provisional government. On 24 December 1966, Che was in Boliva, leading another revolution. That week his expedition were fortifying their camp and took a day off. Che writes that it was a "day devoted to Christmas Eve" and that, "in the end we were all together and things went well, with some of the people getting a bit drunk". On th 25th it was "back to work". Che was wounded and captured on 8 October 1967, and murdered by a CIA agent the following day. 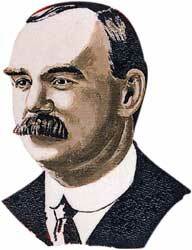 James Connolly wrote specific pieces for Christmas 1913 and 1915. However in the Lost Writings a third piece is found called Notes From the Front. In 1913 Connolly, in an article called Fiery Cross or Christmas Bells, writes: "Here we have a great city held up by a war between two classes," where "on the one hand, by those who control the wealth, the capital, the armed forces and all the means of coercion; whilst, on the other hand, all that is represented is toiling men and women, with no assets except their brains and hands, and no powers except the power and capacity to suffer for a principle they esteem more valuable than life itself." In Two Fateful Christmas Weeks written on 25 December 1915 in The Workers Republic, Connolly compares that week with Tone's ill-fated expedition in 1796. Perhaps we should end with the message in Notes From the Front in the same paper on the 25th, which seems particularly apt this December 90 years on, where once again the Irish worker is being made a slave. Connolly writes: "The needs of our time call for a frank recognition of the fact that our Slogan must be All for the Cause and The Cause over All. Shall we see another year and Ireland patiently bearing her Chains? To all slaves in Revolt we wish A Merry Christmas!"